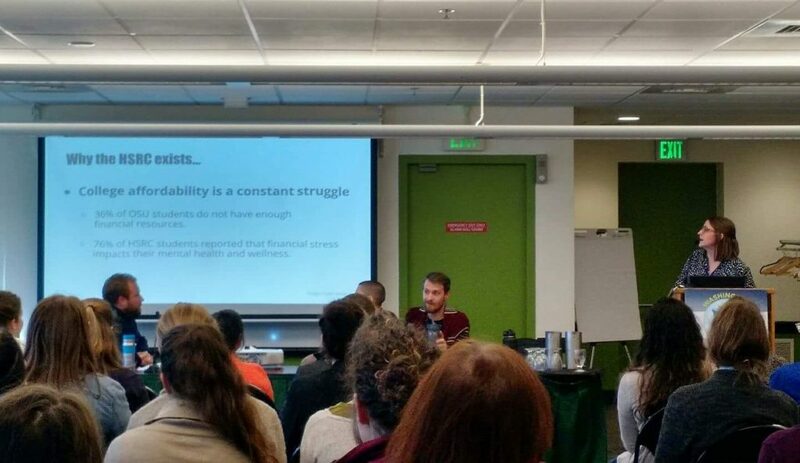 Brittney Chesher, graduate intern with the HSRC, recently had the opportunity to be a presenter at the Washington Oregon Higher Education Sustainability Conference held at Portland State University on February 7th. During the panel session, Brittney was able to share resources with attendees interested in learning how to better support college students experiencing food, housing, and financial insecurity. “The HSRC and UHDS are doing some great things and it was so rewarding to share tangible resources and potential next steps with other institutions in the region who are becoming aware of how important it is to meet student’s basic needs”. 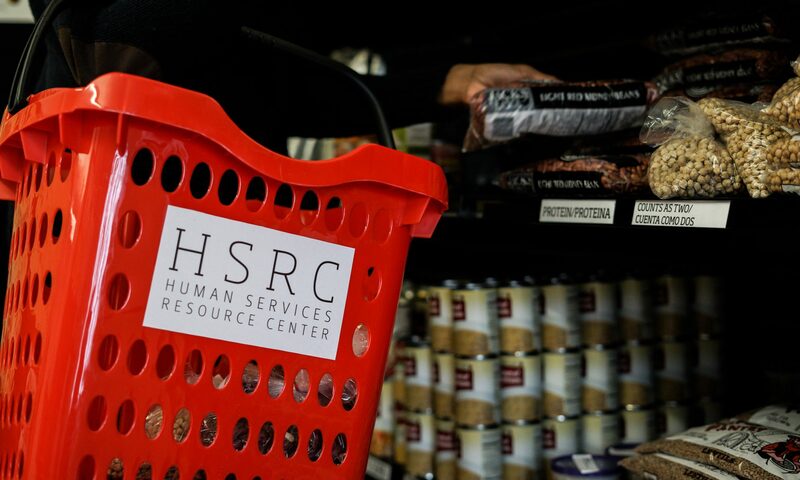 Brittney was able to share about resources that have developed at OSU in the past few years including: @eatfreeOSU twitter campaign, the HSRC Food Pantry, and the work that went into the an on-campus c-store, Cascadia Market, accepting SNAP funds. Brittney’s presentation slides are available online.